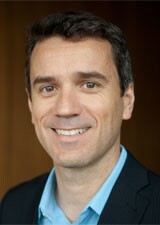 Martins’ research is on algorithms for multidisciplinary design optimization (MDO) that can take advantage of high-fidelity simulations and high-performance parallel computing. He has been focusing on applying these algorithms to the design optimization of new aircraft configurations. In the design of an aircraft wing in particular, since it is flexible, it is crucial to consider the coupling of the aerodynamics and the structure. In addition, when performing design optimization, it is important to simultaneously account for the aerodynamic performance and the structural failure constraints. 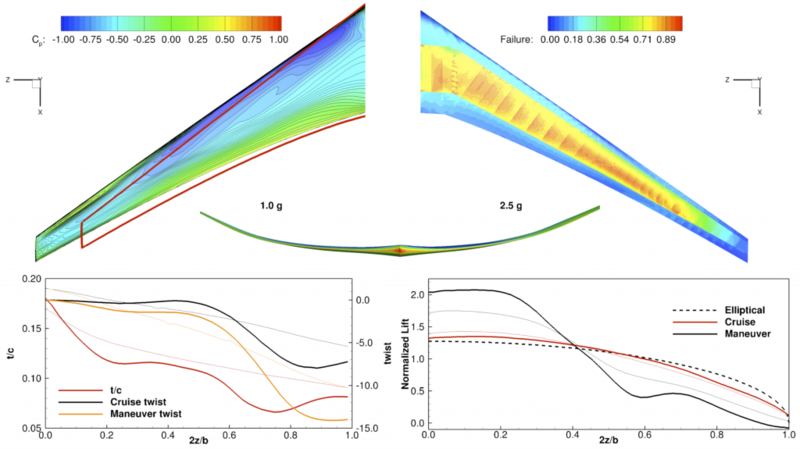 In the MDO Lab, Martins’ team has developed ways to perform design optimization based a Reynolds-averaged Navier-Stokes model for the aerodynamics that is tightly coupled to a detailed structural finite-element model. The optimization of the coupled system is done with a gradient-based algorithm, where the gradients of the coupled system are computed using a two-field adjoint system of equations. This enables the high-fidelity aerostructural design of aircraft configurations with respect to thousands of design variables.